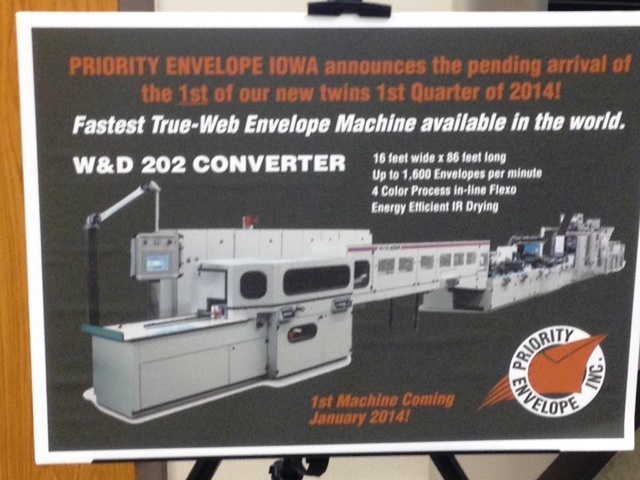 All preparation is ready for our 1st of 2 new W & D 202 High Speed Envelope Converters to arrive later this week in our Nevada, Iowa facility.. 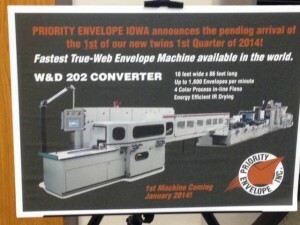 This pair of machines reinforces our continued commitment to the envelope manufacturing industry, our direct mail customers and prospects as well as to our valued employees. These machines are considered the fastest true web machines in the world. In addition, each will have print capabilities up to 4 colors outside and 1 color inside. We look forward to an exciting, productive 2014!